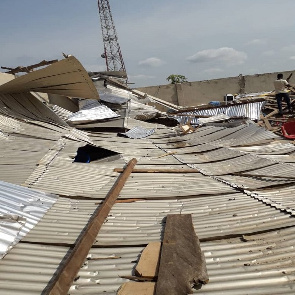 A rainstorm that hit the Amansie West District of the Ashanti region has killed an 11-year-old class 3 pupil, Fredrick Kofi Tweneboa. He is reported to have died on the spot when a building serving as their home collapsed. The rains also wreaked havoc in several homes, including churches and mosques. 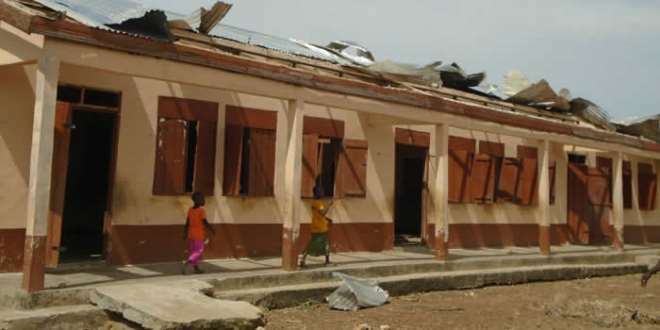 Also, Eight schools and a District Education Office within the Amansie West were affected by the disaster. A total of 1,915 people have been displaced due to this disaster. About 16 residents are currently receiving treatment at the Akomfo Anokye Teaching Hospital as well as the Manso Kwanta and Saint Martins Hospital. The Paramount Chief of Manso Nkwanta Traditional Area, Nana Kwesi Appiah, has also added his voice to the calls for help. He has appealed to the government to come to their aid. Director General of the National Disaster Management Organisation (NADMO), Nana Agyemang Prempeh attributed the disaster to lack of maintenance and failure to plant trees as windbreaks around homes. The district chief executive on his part, assured efforts are being made to support victims.